Initiative offers 12-week paid internships which allow students to gain valuable work experience, explore career options, and develop leadership skills through mentorship and guidance while helping to advance NPS efforts on emerging management issues. Successful students may be eligible for noncompetitive hire into federal positions for which they qualify following completion of all academic requirements. likely stressed sensitive aquatic species (e.g., cold-water fishes and insects) as a consequence of elevated stream temperatures. Conditions resembling historical droughts, including the recent 2015 event, are projected be more likely within this century as climates warm across the region. These changes are likely to coincide with increased park visitation and growing stresses on sensitive aquatic ecosystems. buffering at Mount Rainier may complicate efforts to sustain endangered species such as bull trout, and cold-water obligate invertebrates. In addition, park water supply depends on streams and lakes supplied by snowmelt, and perennial snowfields. With increasing park visitation, multiple stressors on sensitive aquatic organisms and uncertainties with projected climate changes, park managers seek to identify a range of water supply options. In addition, the park seeks to acquire high-resolution stream temperature data to develop spatial stream network models to describe park-wide patterns of stream temperature and streamflow permanence. As the probability of stressful conditions such as drought and warming temperatures increases, understanding local factors that influence stream temperature and flow refuges for aquatic biota becomes more critical. The intended audience of the project work is park management, however public interest in research related to climate change and potential impacts on water supply at Mount Rainer demonstrate a need for public outreach and interpretation. The selected intern will work directly with the Aquatic Ecologist, Geologist, and Utilities Supervisor, and closely with the division of Education and Interpretation. Opportunities exist to collaborate with USGS scientists and university researchers. Results of the project will be presented to the management team. 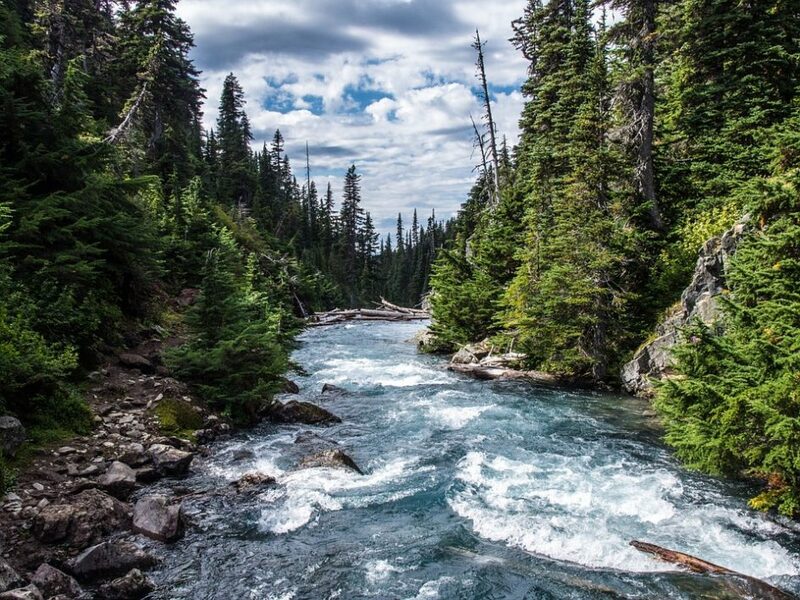 Summarize Mount Rainier’s current water supply demands, history of development, issues, changes over time, and potential impacts to aquatic organisms. Develop a sampling plan for an instrumental network to track seasonal changes in temperature, water level, and flow permanence in streams within MORA, including those that are most likely to be influenced by losses of glacial meltwater, and are most likely to influence park water supplies. Deploy instruments at a subset of high priority locations over the 2018 field season and summarize data. A summary of current water supply demand, issues, and changes in water use over time. Current and projected visitor use numbers, potential infrastructure additions, and projected environmental change based on regional models. A summary of alternative water supply options and water supply infrastructure needs. A final sampling plan for an instrumental network of temperature sensors water and water level loggers. A final presentation to park management and staff. temperature sensors, and be familiar with stream gages and water level loggers. Ideally, applicants will be familiar in R, current statistical approaches, and GIS. Applicants must posses a valid state driver’s license, personal transportation, and be willing to share housing with other seasonal park staff and commute approximately 16 miles one-way. Communication and collaboration with park visitors and park operations, protecting aquatic resources, and providing up to date information to the public on park issues and planning efforts requires interdisciplinary efforts. The selected applicant will have a unique opportunity to bring park staff from various divisions together to create a science based product intended to help management adapt to changing environmental conditions. Opportunities will exist to present results in writing and through presentations to a variety of audiences. plan, in coordination with the park Aquatic Ecologist and Geologist, and testing methods provides ample opportunity for creativity and problem solving. The preferred starting date is June 10, 2018, however dates of the position are flexible, depending upon availability. Ideally the intern will work 480 hours between June 10 and September 10. This initiative supports one student at $16/hour for 12 weeks, or 480 hours. two-bedroom apartment or 2-3 bedroom house. Both apartments and houses are furnished, but the participant will need to bring bedding, kitchen supplies, towels, and other household items. be performed both in and outdoors, with outdoor work over a variety of terrain. Fieldwork may require travel on steep rocky slopes, in forests, streams, and wetland environments in a variety of weather conditions in wilderness, surrounding an active volcano.